If you are using this device for first time, please check Install & Try section. ZTradePlus it is a trading application targeting the Athens and Cyprus Exchnages, for professional and private investor needs. For the last 15 years the ZTrade application was the most favorite trading application in Greece and Cyprus, based on its features, high performance, accuracy and availability. 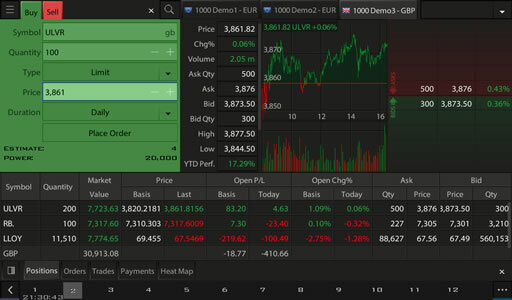 The new application ZTradePlus written from scratch, can be run at greater range of devices including desktops, phones and tablets, with higher performance in a simplified universal environment. 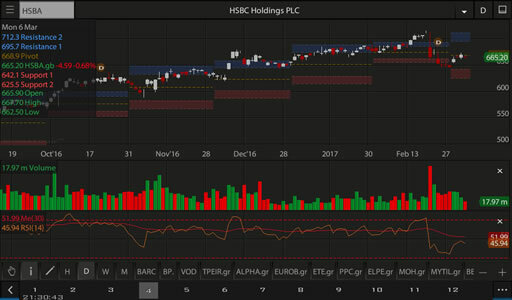 12 Banks and Securities companies, exclusively using this application as white label trading platform for their clients and brokers. 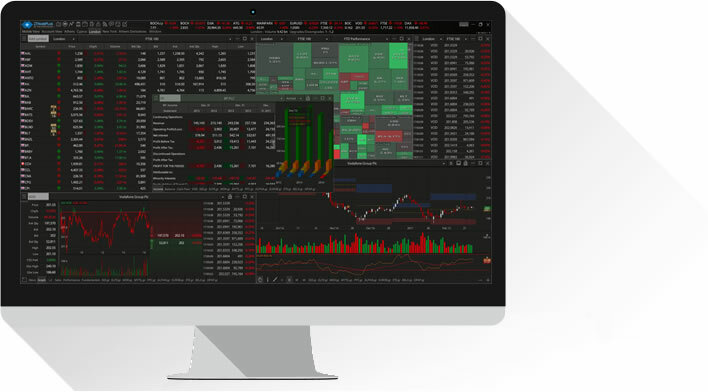 User can setup up to 64 windows on its desktop or 12 screens in a mobile device by sharing the same watch lists, charts and portfolios, across all devices. ZTradePlus it is a subscription based application (please check price list below). For new users a FREE 15 days TRIAL offered. 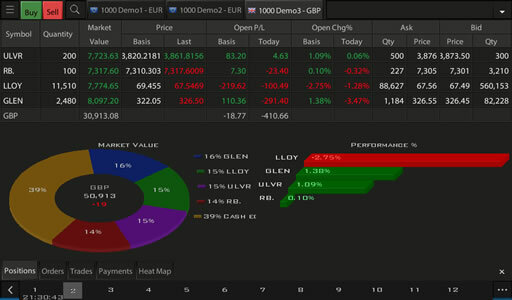 Universal - A Uniform design application with exactly same settings and capabilities across Desktop's/Phone's/Tablet's. 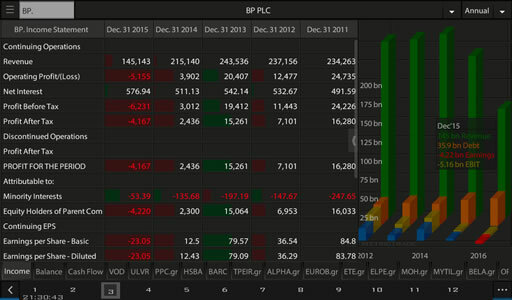 Unlimited - Unlimited custom and market sector watch lists along with most active, unusual volume and other activity lists. 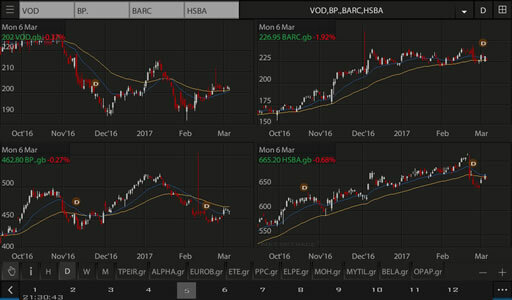 Charts - Technical analysis with +50 indicators, drawing features and glance view with up to 4 stocks on one chart. 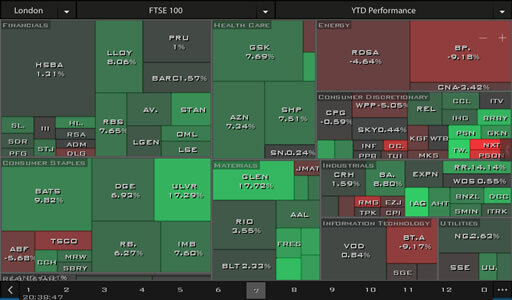 Fundamentals - Fundamental data with graphical representation. 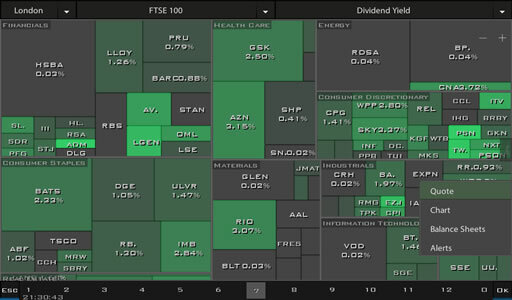 Heat Maps - Heat Maps on Day, Week, Month and YTD Changes, Dividends, P/E etc on major indices components and user watch lists. Please install the application by following instructions depending on your system below. Then click at FREE TRIAL Option at Login Screen and we send you a username/password by SMS to your Phone. Our company does not sell or share any of your data. If you already have a username/password please use your credentials across all your devices, in order to share your preferences, watch lists and portfolios. Java must be installed on your system. If you dont have Java installed, please visit www.java.com to install it. We recommend that you uninstall all older versions of Java from your system. 2. If you are using Chrome click Keep in the file confirmation messages and then click on the zplusi.jnlp file. 3. Select Run at Java confirmation message. 3. Control-click (or right -click) the file and then select Open from the context menu. 4. Select Open at confirmation message. 1. 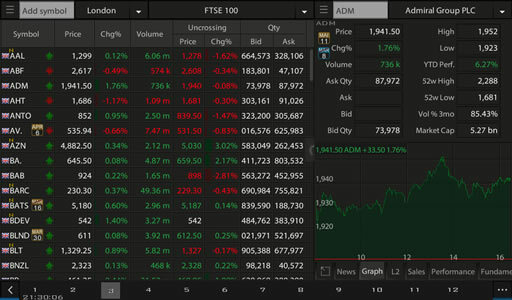 From the Play Store App at your device, search "UK Stocks One" and install it. 2. Open the Application by click on its icon at your device application list. 1. 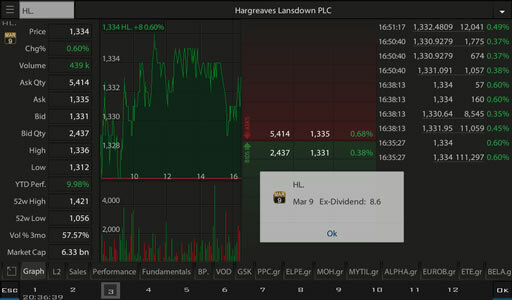 From the App Store App at your device, search "UK Stocks One" and install it. As a Registered Investment Advisor I've struggled to find a good app for out of the office. This app not only does what I want but a whole lot more. Great choice!. Seriously, what am I missing? This is the greatest app i have ever used. How is it not more popular? Sure it took a bit of getting used to but this is now my main watching app. Con: Some controls are a little wanky A bit noisy and full of stats (I can only imagine how great this is on the iPad). Practical as of the best monitoring programs that exist. Please click here to open the app User Guide. Or click here to Chat with us to discuss any question (Monday-Friday, from 09:30 to 17:30 Athens Time) . All information contained herein is obtained by MetricTrade from sources believed by MetricTrade to be accurate and reliable. Because of the possibility of human and mechanical error as well as other factors, neither MetricTrade nor the Information Providers are responsible for any errors or omissions by either MetricTrade or the Information Providers. ALL INFORMATION IS PROVIDED “AS IS” WITHOUT WARRANTY OF ANY KIND. MetricTrade and the Information Providers make no representations and disclaim all express, implied, and statutory warranties of any kind to user and/or any third party including warranties as to accuracy, timeliness, completeness, merchantability, or fitness for any particular purpose. Unless due to willful tortious misconduct or gross negligence, neither MetricTrade nor the Information Providers shall have any liability in tort, contract, or otherwise (and as permitted by law, product liability), to user and/or any third party. Neither MetricTrade nor the Information Providers shall under any circumstance be liable to user (and/or any third party) for any lost profits or lost opportunity, indirect, special, consequential, incidental, or punitive damages whatsoever, even if MetricTrade has been advised of the possibility of such damages. Some countries provide rights in addition to those above or do not allow the exclusion or limitation of implied warranties or liability for incidental or consequential damages. Therefore, the above limitations may not apply to you or there may be state provisions which supersede the above. Any clause of this Disclaimer declared invalid shall be deemed severable and not affect the validity or enforceability of the remainder. The terms of the Disclaimer may only be amended in a writing signed by MetricTrade and are governed by the laws of Greece. All content and data provided is owned by or licensed to MetricTrade Ltd and may not be reproduced, transmitted or distributed without the prior written consent of MetricTrade Ltd.
For 17 years of serving financial industry no one of our customers has replaced our systems with any competitive. EU and UK non business customers: Your country VAT rate will be added to the above prices. Outside EU and UK customers: VAT it is not applied outside EU and UK. Please send to us your VAT number before payment in order to avoid VAT charge.